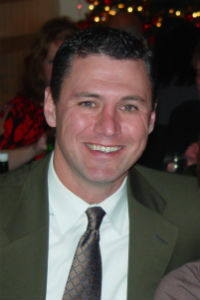 Todd Martin is the Executive Vice President and Chief Operating Officer of Emergency One. Mr. Martin is responsible for the strategic planning, development and operational management of urgent care and occupational health services for Emergency One. In his role, he works with physicians, clinical staff, local business leaders and the community to insure the delivery of prompt quality health care services and to assist in the development of effective occupational and preventative health models for the public. Prior to coming to Emergency One, Mr. Martin held positions as the Executive Director of Kingston WoRx Occupational Health & Wellness Center and the Corporate Director of Rehabilitation and Workers Compensation at Quad Graphics in Milwaukee, Wisconsin. In this role at Kingston Worx, he developed the occupational health model for the Kingston Hospital program by working directly with business leaders to identify their specific health care needs. While at Quad Graphics, he provided strategic planning, management and direction to six corporate on-site centers located throughout the United States. The scope of services provided on-site included physical rehabilitation, injury prevention, ergonomics, and workers comp case management to all Quad Graphics’ employees and their families. Mr. Martin received his B.S. in Athletic training from Ithaca College, Ithaca, New York in 1990 and his MBA from Cardinal Stritch University in Milwaukee Wisconsin in 1999. He recently earned his Fellowship in Health Care Administration for the American College of Health Care Executives in 2011. He has served on many professional committees including: Current President of Safety & Health Council of Hudson Valley an OSHA VPP Partner, Vice President & Treasurer of NYS Dept of Labor’s Job Services Employers Committee, ANSI Z365 “Control of Cumulative Trauma Injuries” representing the Printing Industries of America, and the Wisconsin State Medical Society Low Back Outcome Study Committee.